King of The Beats producer competition returns to London on May 1st and will feature Cutmaster Swift, DJ Devastate, Deejay Random, Sparkii Ski, Key Figures, and a special performance by The 4orce. 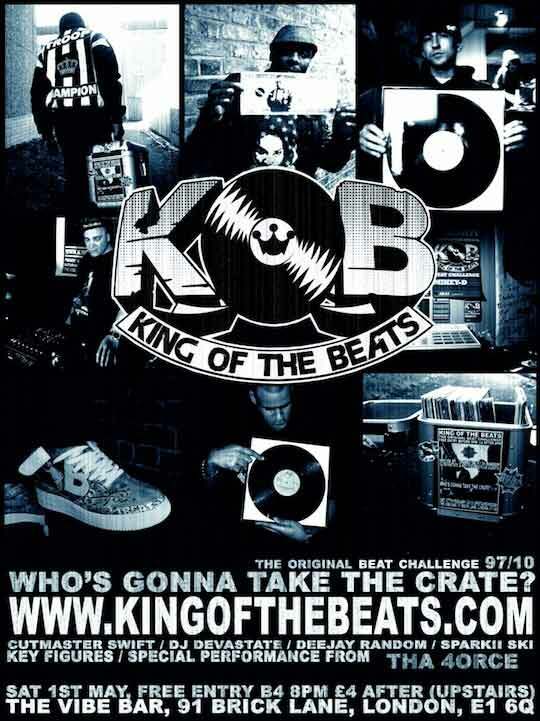 Visit the King of The Beats website for more info. View the first 10 minutes of the film after the break! Once again, another reason why I wish I lived in England! Another dope show!! will be there! cant wait. Hip Hop for ever baby!